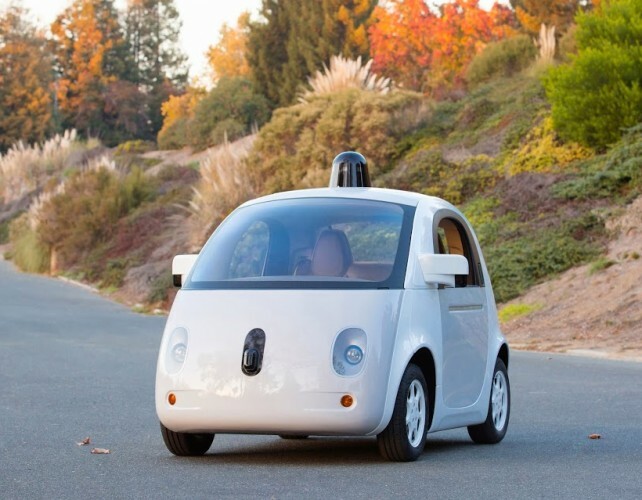 Will Google Cars Eviscerate the Personal Injury Bar? Google’s prototype released on December 22, 2014. And it occurs to me that these drivable computers will result in both many lawsuits regarding them, and simultaneously eviscerate a significant portion of the personal injury bar. First off, some of these cars will crash and people will get injured. And you can bet your last dollar that there will be lawsuits and some class actions regarding that, with many fingers pointed Google’s way. The potential for error in such heavily software-dependent systems is extraordinary when combined with the limitless potential for collisions. There will be new meaning to the idea of computer crashes. Google is working hard on that problem, having driven its test vehicles 700,000 miles already in the Bay Area to prevent this. The issue of lawsuits regarding the cars will, I think, be vastly overwhelmed by a huge reduction in collisions that result from the most common forms of human error. Each year about 30,000 people will die in the U.S. from car crashes, and about two million are injured, and that is after considering a significant drop in fatalities from safer cars and seat belts over the prior decades. Aside from the role that alcohol plays in being a cause of collisions (not accidents), many are the result of a simple failure to stop in time that results in a rear-endng, or sideswipes from changing lanes without looking, or hitting the unseen pedestrian. The last generation’s distractions of radio-tuning, cigarette lighting, and screaming back-seat kids has now been supplemented with email, texts, phone talk and GPS devices. Calling distracted driving an epidemic seems like a cliché, but if you’ve glanced into the windows of your fellow drivers, which my kids tend to do and point this out to me — “multi-tasking” drivers is another phrase for distracted and inattentive. And what will those new-fangled cars do? They will see the other cars/pedestrians and slow down or stop despite the driver being lost in thought elsewhere. Or drunk. Or asleep. With human error crashes reduced by software that automatically stops or slows the car, the number of broken bodies and cars will be reduced. The number of deaths will be reduced. Your insurance premiums will be (theoretically) reduced. Has anyone ever cheered being put out of business? I am. Because I drive, too. I’ve been hit in the rear at least four times in the last few years. Every one no doubt the result of an inattentive driver. Thankfully, all of those were minor and they never resulted in an injury. But my lack of injury is simply my good luck. This is not to say that there won’t be downsides to driving a Google car, not the least of which is the total abdication of the last vestiges of privacy. Google will know exactly where you are going and how long you have been there, and be more than happy to sell that information to anyone with the Benjamins to spend. Or give that data to the government when it comes a’ callin’, as the government most surely will. But from a raw safety standpoint, I am left with no other choice than to cheer the company on. Go ahead, Google, make my day by bringing on safety and putting us personal injury attorneys out of business. OK, you won’t actually put me out of business because, by the time it becomes a mass market item, I will no doubt be retired. But if I were fresh out of law school, this isn’t the field into which I would head.